Let’s get one thing straight. I hate throwback rock bands 90% of the time. I’m all for music moving forward and evolving, so when a band like Rival Sons decide to bring nothing new to the genre, it makes me ill. One of the exceptions of this view are The Temperance Movement. Exploding onto the scene in spectacular fashion with their self-titled debut, the band merged 70s classic rock sensibilities with folk and blues influences, and topped it all off with one of the finest singers of this generation. Naturally, this meant I was rather excited about the follow up. As I’ve said before in these pages, the second album is always a tricky one. So, what have The Temperance Movement done to freshen up their sound? Well, they have decided that, instead of the polished sound of their debut, that ‘White Bear’ should be absolutely filthy. ‘Three Bulleits’ sounds like The Black Crowes, but rough around the edges, and ‘Modern Massacre’ is pure, dirty rock and roll. The band’s blues tendencies show through on ‘Battle Lines’ and ‘Get Yourself Free’, the latter containing a chorus so brilliant you’ll punch the air with joy when you hear it, and ‘The Sun And The Moon Roll Around Too Soon’ sounds like it was recorded on the banks of the Mississippi. Normally, in this paragraph I’d point out the flaws. But there aren’t any. The soaring title track and The Rolling Stones-like ‘Magnify’ are truly brilliant songs, and even the album’s softer moments, like ‘A Pleasant Place I Feel’ and ‘I Hope I’m Not Losing My Mind’ don’t interrupt the pacing of the album, instead helping provide a much needed diversity to the pacing of the album. Basically, when faced with the challenge of the difficult second album, The Temperance Movement have knocked it out the park. In fact, with the exception of Clutch’s ‘Psychic Warfare’ – something that you all need to experience at some point- I’d go as far to say that ‘White Bear’ is the best rock record of the decade. And, if their recent sell out show at the Barrowlands is anything to go by, they’re only going to continue their ascent into superstardom. Quite frankly, it’s exactly what they deserve. 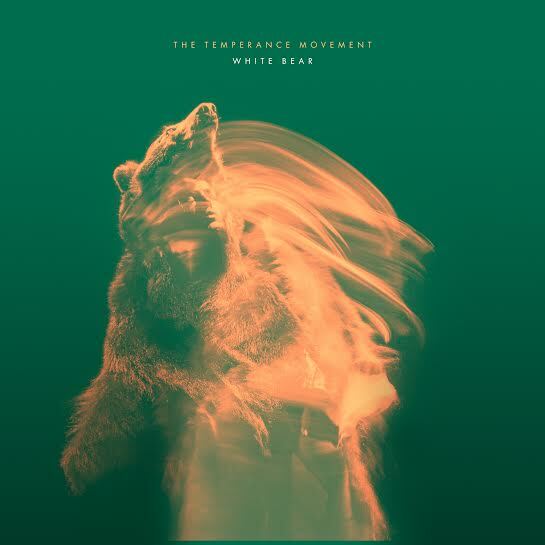 Posted in Music and tagged album, Music, review, the temperance movement, white bear. Bookmark the permalink.